Our guest today is Dr. Douglas D. Himes. Dr. Himes is a participant in the International Christian Recovery Coalition. Among other items, Dr. Himes will be telling us about his latest book, Higher Power: Seeking God in 12-Step Recovery. And I am pleased to say that I was asked to write an endorsement of this book and did so. Douglas D. Himes, Ph.D., is a trained spiritual director, as well as retreat and workshop leader. He provides spiritual counsel at Cumberland Heights (a leading alcohol and drug treatment center, in Nashville, Tennessee). 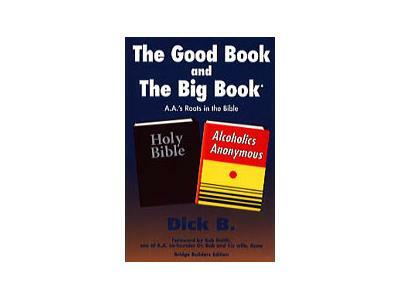 Many years back, I was honored to address patients and staff at Cumberland on the spiritual history of Alcoholics Anonymous. Doug will tell us briefly about his background, family, religion, education, and present work. He knows his Bible and his Big Book. And—like the authors of the Big Book—plainly states that the much-used and overused “higher power” language in 12 Step programs was intended to refer to God, and how to find Him. Doug will also tell us about his writings, his counseling approaches, and what he does to advance the Christian recovery movement. And now to Doug Himes. Take it away, Doug.